Bob is a graduate of the University of Massachusetts and began his adjusting career shortly thereafter. Over a period of more than 3 decades, Bob has had the opportunity to handle very large and complex claims throughout North America and in parts of Europe. He has adjusted numerous Catastrophe losses throughout the Caribbean, the Southern United States and most recently as a result of Hurricane Sandy. He has specialized in all manner of Commercial and Industrial losses and has handled numerous Energy related claims including two of the largest to have ever occurred in Canada. Bob is fluent in English and French, has his FCIP designation, is an Associate Member of the LEA and is a licensed Independent Adjuster in all lines. Layne has been an adjuster since 1999. He became an independent adjuster in 2001. Throughout his career, Layne has gained experience handling claims in the following areas: Mining, Course of Construction, Manufacturing, Boiler Machinery and Business Interruption. Layne joined MGB after 7 years at a multinational adjusting company. Layne is an Executive General Adjuster specializing in commercial and industrial property claims. Layne graduated from Wilfred Laurier University and began his insurance career in 1999 with Royal and SunAlliance. Along with his Degree from Wilfred Laurier University, Layne is a Fellow Chartered Insurance Professional (FCIP) as accredited by the Insurance Institute of Canada. He also maintains a Canadian Risk Management designation (CRM). Ian began his insurance career in 2003 with a multinational firm and has worked in both Canada and the United States. He has handled large and complex losses throughout North America, specializing on film, entertainment and contingency claims, as well as commercial property losses Ian has worked several CAT losses in the Caribbean, England and North America. Ian graduated from Queen’s University with an Honours Bachelor of Commerce degree. He is a Certified Insurance Professional (CIP), a Certified Fire and Explosion Investigator and a Licensed Independent Adjuster in all lines. Ian hold adjuster’s licenses in both Canada and the United States. Ian has been a member of the North American Contingency Association for over ten years and served as the co-president of the organization for the 2013/2014 year. Justin has been an adjuster since 2008. He has experience handling catastrophic losses in Ontario and Newfoundland such as the Windsor flooding and Hurricane Igor. His experience includes Wrap Up liability, Builder’s Risk, Commercial/Industrial Property losses and Roofer’s Liability. Colleen has been a loss adjuster since 1987. She became an independent adjuster in 1994, working for a multinational adjusting company for 24 years before joining MGB. Colleen has expertise handling a wide range of complex liability-based claims throughout Canada and the US. Colleen graduated from the University of Western Ontario with an Honours Bachelor of Arts degree. She is a Certified Insurance Professional (CIP) through the Insurance Institute of Ontario, and is a Licensed Insurance Adjuster in all lines. Jennifer came to MGB Claims Consultants after working with two large independent adjusting firms over the course of 17 years. She is a General Adjuster, and holds her Adjuster’s License in all lines. Jennifer has a wide range of experience which includes claims handling of both Property and Casualty losses for both Commercial and Personal lines. Darragh began his career in the insurance industry in 2008 with an adjusting firm in Ireland. During this time he obtained his Irish CIP designation and a diploma in loss adjusting via the Insurance Institute of Ireland. In early 2014 he joined a global brokerage firm in Toronto as a claims consultant and progressed to the position of senior claims consultant where he handled claims in Canada and across North America. Darragh joined MGB in 2017. Darragh has experience in Auto, Commercial General Liability, Large Government Infrastructure, Property and Construction (Wrap Up Liability & Builder’s Risk) claims including CAT work during the 2016 Fort McMurray wildfires. Darragh is a member of the Insurance Institute of Ontario and is working towards his CIP designation. 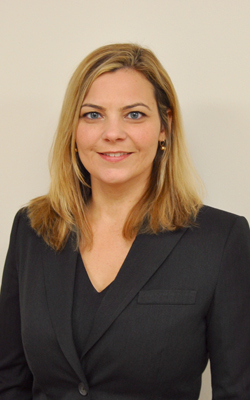 Tara Drabik began her insurance career in 1996 working for an international insurer shortly after graduating from McMaster University with a Bachelor of Arts degree. She has extensive experience working both personal and commercial lines involving complex claims. Tara began her career in Personal Lines moving over to incorporate Commercial lines, as an Independent Adjuster in 2002. Throughout her career, she has a wide experience handling claims for Liability, Casualty, Automobile Accident Benefits, Automobile Liability and Automobile Property Damages. She is also a Certified Catastrophe Adjuster. Tara is also Teacher Trained through the Insurance Institute and has taught C17; CIP Course. Garfield Adamson began his insurance career in 1989 working for a major Canadian Insurance Company as a Road Adjuster. In 2002 he joined an independent adjusting firm in Toronto as a Senior Adjuster. His expertise includes the investigation, evaluation, negotiation and settlement of Accident Benefits, Bodily Injury and Property Damage claims. Garfield has participated in numerous negotiation workshops and has attended various Conflict Resolution and ADR Training programs. With his knowledge and experience he has been able to effectively represent various insurers in the handling and resolution of their FSCO Mediation files since 2004. Garfield joined MGB Claims in July 2016. Garfield is a member of the Insurance Institute of Ontario and is working towards his CIP designation. Jon has been employed in the insurance industry since 2008. He began his career working on class action claims for an multinational adjusting firm, dealing with class members in the Residential Schools Settlement and the Hepatitis Tainted Blood Settlement. In 2010 he moved to another multinational Independent Insurance adjusting firm, as an all lines adjuster, where he stayed until joining MGB. During that time, he gained further experience and specialized in municipal liability claims, commercial and institutional property and liability claims (hospital and tertiary education sectors), as well as not for profit housing authority claims. Jon was also in charge of account management for a number of clients, examining claims outside of his territory. Jon earned his Bachelor of Arts Degree from McGill University, is fully licensed by FSCO, and is a Chartered Insurance Professional (CIP).